Park Village Studios is a stunning 10,000 sq ft historic building right at the entrance to Regent’s Park. Originally a Victorian riding school, the venue provides a unique setting for all types of events both corporate and private. Whether you are planning an award ceremony, a product launch, a meeting or conference, a fashion show or a private party, Park Village Studios can help. A 2,700 sq ft double-height converted Victorian riding arena with a cast iron spiral staircase leading to the original viewing gallery and stables (now studio 3). A J-shaped infinity curve provides an ultra-flexible backdrop for projections, 3D mapping and large set builds. Ideal for all types of event Studio 1 is highly flexible and has the capacity for up to 250 seated in a variety of configurations. Contemporary flexible space suited to product launches, presentations and receptions. Also used as break-out room/ catering set-up when hiring the building exclusively. Drive-in vehicle access, an open kitchen and large make-up room with two classic styling stations. With its high-vaulted wooden beamed ceiling and elegant tiles, Studio 3 offers a pleasing contrast to the other spaces. 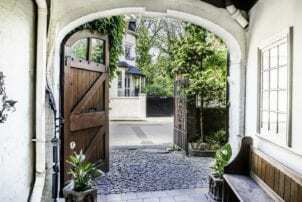 Park Village Studios is located on an elegant street just metres from Regents Park in Central London. Three off-street parking bays available as well as local parking options. Excellent public transport links – Kings Cross, Euston, St Pancras International.